Industry Forum were proud to participate in the SMMT’s inaugural Regional Forum, which took place at the Bolton Whites Hotel, The Macron Stadium (Bolton Wanderers Football Club) on Thursday 23rd November 2017. The Forum was organised as part of SMMT’s commitment to support all of its member’s right across the UK and was opened by SMMT’s Chief Executive, Mike Hawes, who spoke of both the opportunities and challenges facing the UK’s Automotive industry. The featured topic on the agenda for the morning session focussed on the opportunities for the automotive supply chain within the north of the UK. This saw Phillip Cox, Chief Executive of Chester and Warrington LEP, talk about opportunities that exist within the second largest cluster group in the UK, the skills challenges facing colleges and universities as well as improvement programmes such as NPLX and NMCL aimed at increasing the operational competitiveness of UK manufacturing. David Hall, Purchasing Manager at Bentley Motors then spoke of the activities taking place at Bentley’s plant in Crewe that will continue to provide further growth opportunities to the automotive supply chain in and around the region. Ian Henry gave a fascinating outlook on the UK’s vehicle production numbers before the secondary theme of the day, that of Brexit, became the featured subject matter. Nathan McArdle, Manager of Advanced Development Programs at BorgWarner and Helen Foord, Head of Government Relations & Public Policy at Vauxhall shared their insights into some of the work that they have been doing in order to prepare for Brexit. As well as exhibiting, Industry Forum then spoke about the transition from ISO/TS 16949 to IATF 16949:2016 alongside the SMMT IATF Oversight Office in afternoon. 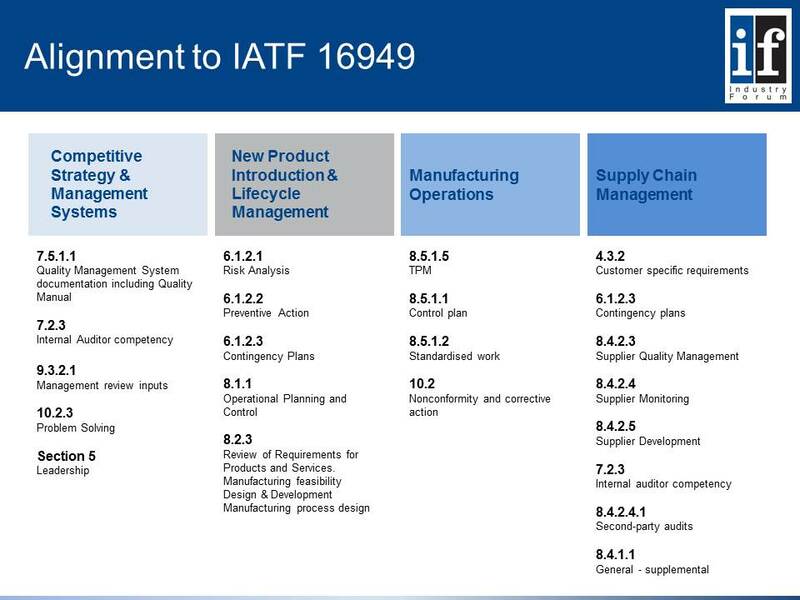 Industry Forum’s Automotive General Manager, Mike Dickinson, showcased the support that Industry Forum has to offer manufacturers in relation to the transition to the IATF16949:2016 standard. SMMT Oversight’s Niall Kealey was able to provide an update on the transition to the new IATF 16949:2016 Quality Standard, which needs to be completed by 4th September 2018 with all new audits now being made to the new standard. Niall was also able to provide some insight into the findings from the initial and transition audits that have been conducted to date by providing further information around the most common non-conformities identified during audits. The Regional Forum was the first of its kind to take place in the north of the UK and the first to take place under the stewardship of SMMT’s new regional engagement Manager for the north, John McLennan-Grant. The event was well supported by SMMT members at what proved to be an excellent venue. The day included some fantastic speakers providing valuable insights into subjects at the very heart of the UK’s automotive industry. 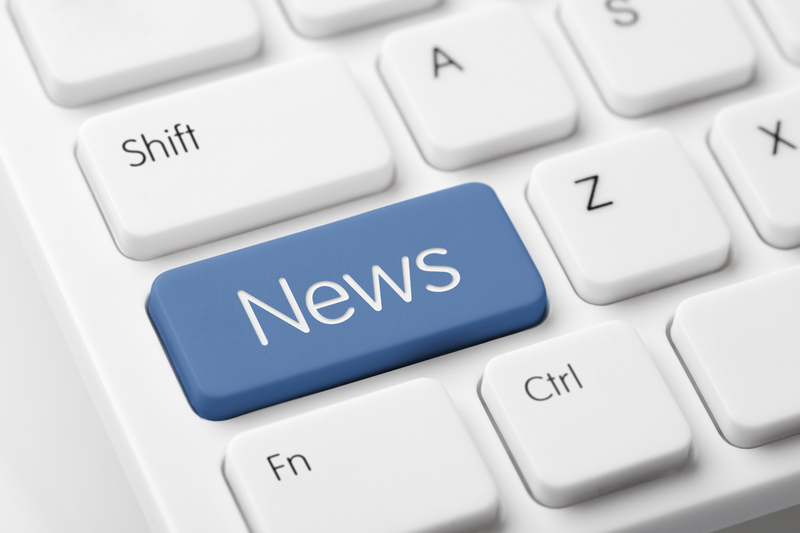 If you’re interested in finding out more about any of the topics contained in the above article or in SMMT membership please get in touch with either Industry Forum or SMMT.